This pre-built USB to 5V breakout board offers a great way of powering projects that require a 5V supply, kits such as our mono amp kit. 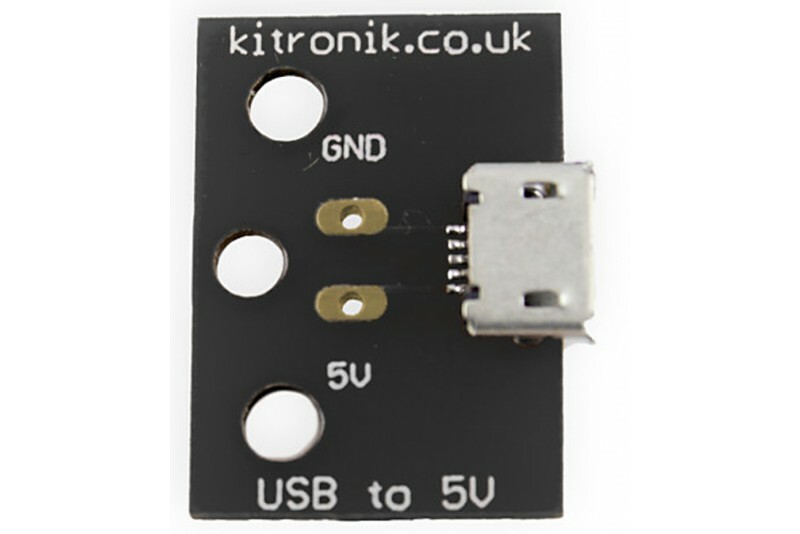 This compact Micro USB Breakout Board offers an easy way of connecting circuits to the 5V power lines that a USB connection supplies. The output (5V and Gnd) connections are two large solder-able pads on the PCB. This board is ideal for replacing batteries in a variety of circuits such as our Mono Amp kit. It is compatible with Micro USB chargers supplied with most mobile phones and tablets. Power your electronics projects via USB. Compatible with projects such as the Kitronik Mono Amp kit. 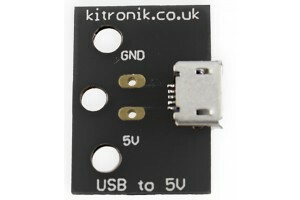 1 x USB to 5V Breakout Board.